games:net BREAKFAST with Rebecca Harwick – A dialogue on the future of narrative-driven games | media:net berlinbrandenburg e.V. 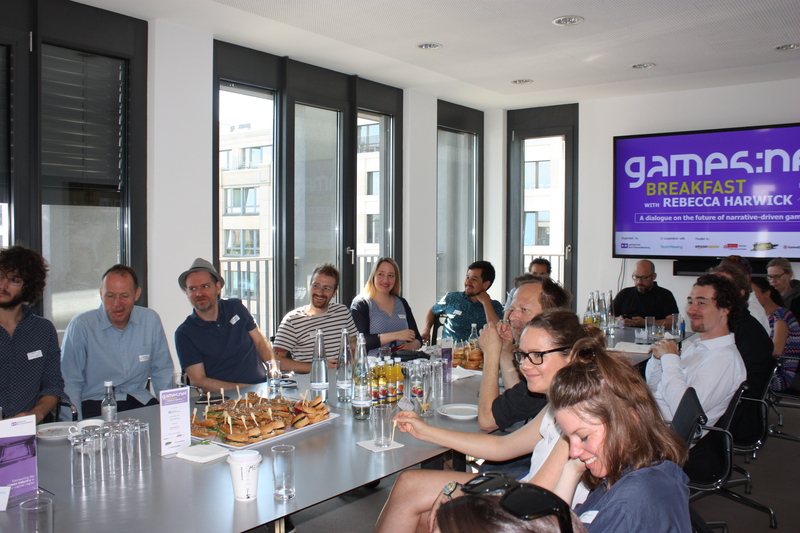 On Friday the 29th of June 2018 story enthusiasts of Berlin’s game scene met at the premises of the law consultancy Taylor Wessing Partnerschaftsgesellschaft mbB to listen to a personal insight of Rebecca Harwick (Head of Writing @Wooga) into the world of storytelling by means of mobile games, moderated by Tim Thaler (journalist and lecturer). games:net BREAKFAST is the exclusive platform to create key contacts between the relevant players in the game industry: developers, distributors and institutions. 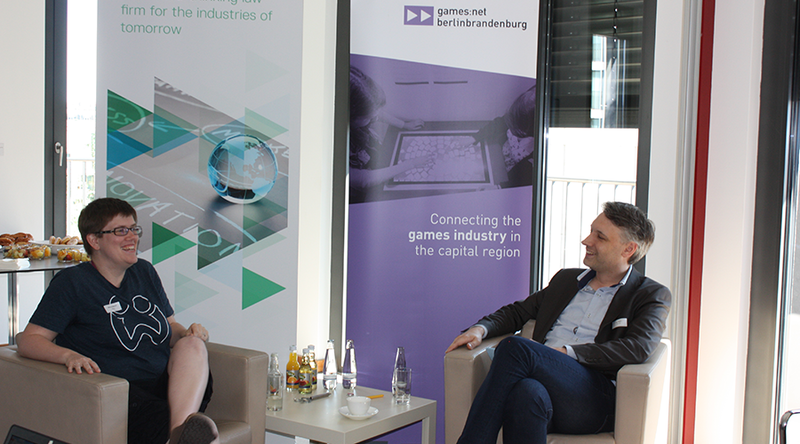 games:net promotes the success of the games industry in the capital region. Dr. Gregor Schmid (Taylor Wessing) and Maria Wagner (head of games:net) were happy to invite over 40 guests to the Taylor Wessing offices located in the heart of Berlin right at Potsdamer Platz. 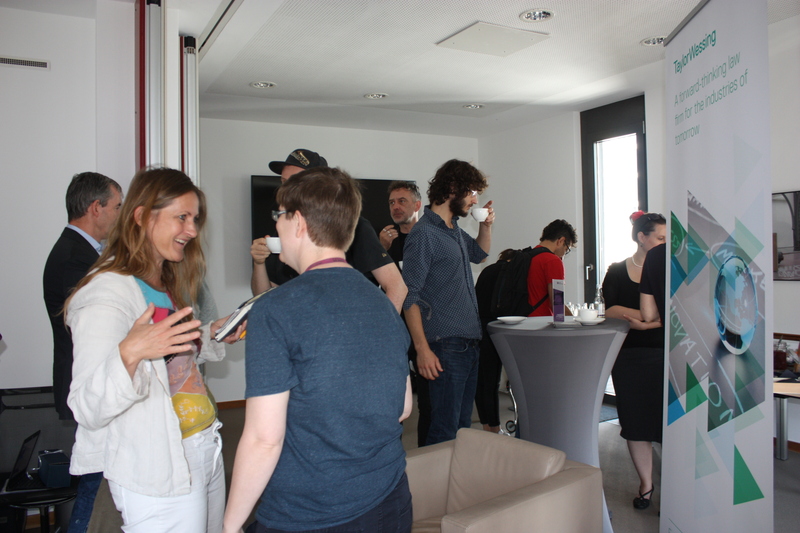 The guests used the time to catch up on their breakfast and for productive networking anticipating the interesting dialogue on story driven games. 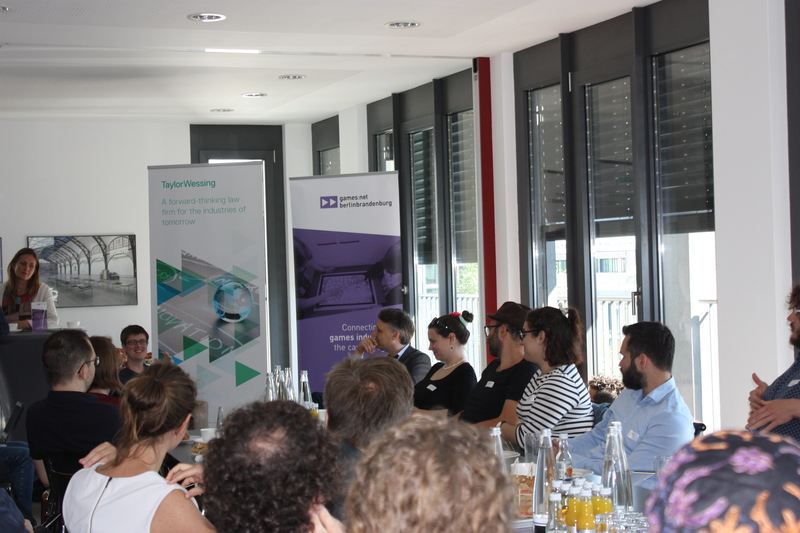 After Dr. Schmid and Maria Wagner had welcomed the speakers and guests, Tim Thaler introduced Rebecca Harwick. Rebecca, has over a decade’s worth of experience in designing and writing stories for narrative-driven games including Star Wars: The Old Republic and The Elder Scrolls Online. 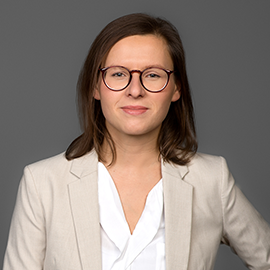 After she initially declined a job offer of Wooga for family reasons staying in the US, she fell in love with Berlin during a visit and knocked at the door of Wooga two years later. The mobile games studio has changed a lot since she joined the team focusing now successfully on “story driven” and “hidden object games”. From the first minute of her talk, Rebecca mesmerized our guests with many stories, which she could tell about her personal experiences and life as a storywriter and creator. Already in a young age, she started writing stories and programming little games. 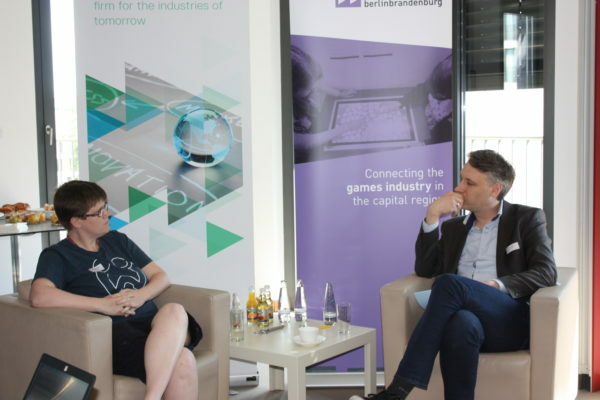 She underlined that even after all the interesting stories we already are able to play, she is convinced that storytelling within games will go far beyond what we can imagine now. Different to many other games and quite refreshing was also the fact that the story driven games developed by Wooga have women as their main target group. A very good decision in ways of marketing and supporting change within the industry. 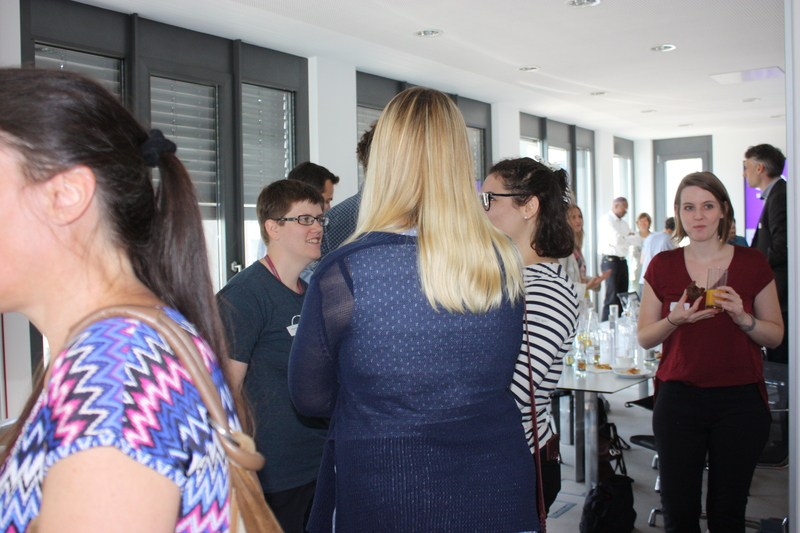 We can be sure that all those attending have enjoyed listening to the great dialogue between Rebecca Harwick and Tim Thaler. Special thanks to our guest Rebecca Harwick and Tim Thaler, who lead the dialogue as well as our host Taylor Wessing for the great collaboration ahead. 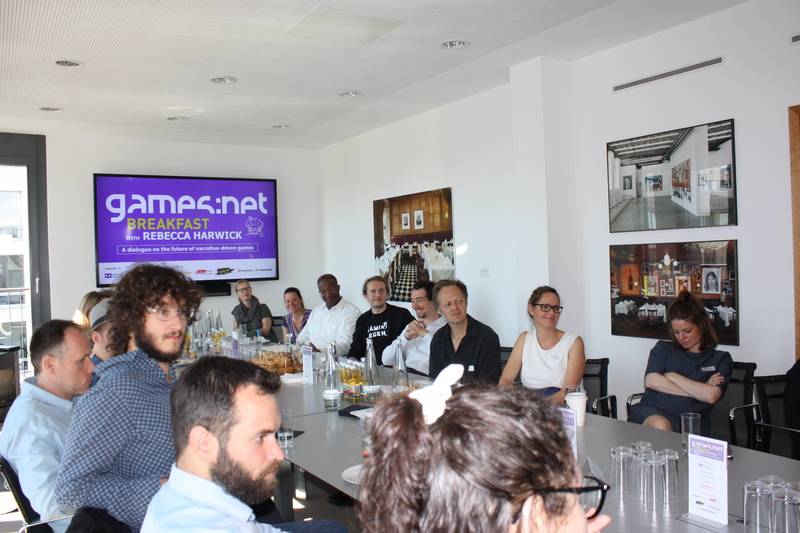 Big thanks also to our games:net BREAKFAST Partners Amazon Appstore, Berlin Partner, Freaks 4U Gaming, Gameduell and Paymentwall and the funder of the games:net initiative, Medienboard Berlin-Brandenburg.